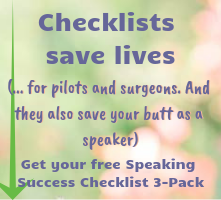 Most of my clients aren't afraid of speaking. They're well past the point where they avoid speaking engagements or rush to get them over with. My clients are typically at a point in their level of experience where they want to better engage with their audiences, create more of an impact and leave their audiences with a greater transformation. However, there's still this bothersome issue of "being human." As comfortable as many of us are on stage, it's still hard to overcome this angst around appearing human, flawed, inadequate, deficient, or just plain foolish. We want to be liked, respected, admired, appreciated and valued. But if the audience finds out that we're "human..." uh oh. This week, I was excited to meet one of my clients in person for the first time. I had enjoyed working with her over the phone and am lucky that she lives close enough that we could meet for lunch. However, I had misgivings. She had told me how much personal development she experienced from coaching with me, and that she considered me a mentor. I was honored to have played such an important role in her growth. Now what if, when she met me in person, she discovered that the "real" me was totally different than that person who had coached her? What if I acted like a goofball at lunch? What if she noticed that I bite my nails? What if she thought my outfit was weird? What if I dribbled food on my chin? What then? So even though some of my core coaching is around being real, around not worrying what people think of us, and around ditching perfection in order to create connection, I still fall into this trap, too. I still face the impostor syndrome on a regular basis, and I still worry that people will discover that I'm human, flawed, inadequate, deficient, or just plain foolish. And yes, I'm all of those things. So are you (from time to time). But you're also unique, one-of-a-kind, and completely different from every other human being in the world. And this is what makes your words, your stories and your message incredibly valuable as a speaker. This is what makes it imperative that you stop dwelling on being perfect, and just get up on stage and share your ideas with those who need to hear them. I still worry sometimes that I won't be liked, respected, admired, appreciated and valued. It's a process. However, many many years ago, I stopped changing myself to fit in and to be accepted based on others' opinions of what was "normal." I stopped adjusting my behaviors, my voice, my practices, my clothing, my silly faces, my hair, and my way of showing up in the world to make other people happy. I'd rather be 100% who I am and maybe sometimes not fit in than always fit in and not be myself. How about you? Are you afraid you might slip during a presentation and the audience will see the real you? Are you afraid of them discovering that you're human? 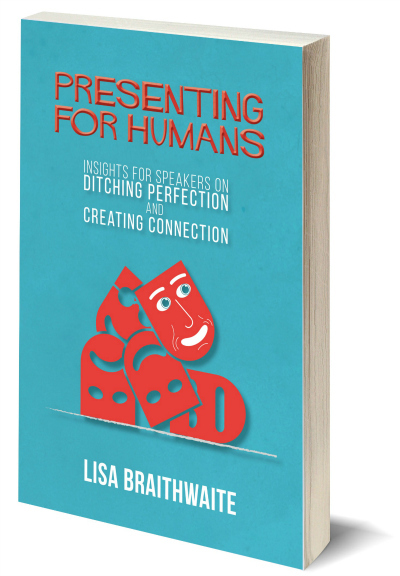 Check out my book, Presenting for Humans: Insights for Speakers on Ditching Perfection and Creating Connection, which is currently available for pre-order. 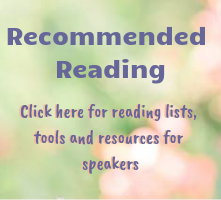 Order your signed copy now and also get free tax and shipping, a downloadable workbook, and a dozen bonuses from my coaching, speaking and consulting colleagues! Be real. Be you. Be human. It can be a legitimate struggle, but it's SO worth it.